Hei Jin Chung, MD, FACS, RVT is a vein specialist in Phillipsburg, New Jersey. Men and women alike can count on her expertise to provide optimal medical care and promote their ongoing wellness. Dr. Chung offers state-of-the-art treatments for all vein diseases, with a focus on solutions for leg problems such as eliminating varicose veins. Dr. Chung provides various treatments for vascular issues that are completely customizable, including sclerotherapy, endovenous laser therapy, and ambulatory phlebectomy. 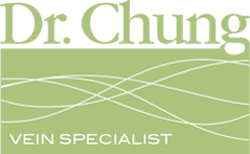 Following a holistic philosophy, Dr. Chung also provides non-invasive aesthetic treatments. Using a cutting-edge device called the Excel V™, the doctor offers laser hair removal, skin tightening, and treatment of rosacea and sun-damaged skin. After receiving her medical degree from the University of Sao Paulo, Brazil, Dr. Chung completed her general surgery residency at the Brooklyn Hospital Center and her vascular surgery fellowship at The Hope Heart Institute in Bellevue, Washington. She’s a Registered Vascular Technologist and performs Doppler evaluation for patients with vein disease. Dr. Chung was the first physician to bring the vein closure technique with radiofrequency ablation and Endovenous Laser Treatment to the Lehigh Valley. When she’s not treating patients, Dr. Chung is dedicated to helping the community through volunteer work, including volunteering her services overseas with a church group. Procedures are performed in our AAAASF Certified & NJ State Registered Surgical Facility. Dr. Chung is Multi-lingual. She speaks English, Korean, Portuguese, and Spanish. Dr. Chung accepts most major insurance plans. Here is a short list of the plans we accept in our office. Please call your insurance to verify if we are on your plan.